- I met with a couple restaurants last week to talk about selling their private dining space. So, if you're going to be in the Chicagoland area and you need private dining or a cocktail reception for 20 to 500 guests... shoot me an email. - I finished putting together the group travel that I've been trying to plan for the past few months. It is an 11 day, 12 night trip to Turkey. Five star resorts including Mardan Palace and beautiful beaches! - I had a garage sale in the suburbs and made about $60.00 because the weather was so terrible. - And yesterday, I finally got my hair done at Free Nation of Beauty with my hairdresser Todd. Todd is running some great promotions right now like unlimited blow outs for a month and discounts for first time clients! 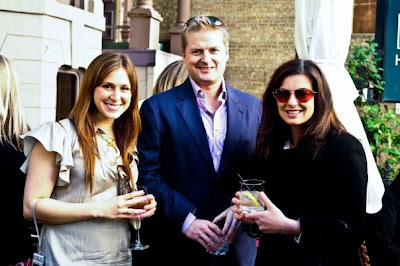 - I also met The Local Tourist out for an event at The Drawing Room and enjoyed some lovely Svedka cocktails. So that is it. I've had a busy, yet mostly uneventful, week. Today I am heading to the office to promote this group trip to Turkey and to plan a "budget" version! Wow, that is a LOVELY resort!!! !